Creation helps us stand in awe of the Creator. His wisdom. His power. His strength. We are left to say with Job, “I know you can do all things, and that no purpose of yours can be thwarted” (Job 42:2). Few acts of creation do this as well as the vastness of the universe. The video is entitled “In the Heavens.” My daughter added the music of a good friend of our family, Jodi Frankfurt, who has since gone home to be with the Lord. Reflect upon the greatness of our God as you watch and listen. For additional reflection consider reading Psalm 19; Job 40, 41, 42. The pictures were discovered by the Hubble space telescope that was carried into orbit in 1990 and began to send back images from the parts of our universe that we did not even know existed. . . although our Creator did. 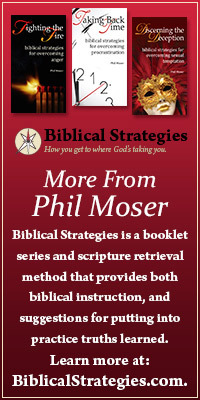 If you receive this blog by email, you may need go to the home page www.philmoser.com to view the video. It is approximately 6 minutes in length. This entry was posted in Apologetics, Character of God and tagged greatness, hubble space telescope, Jodi Frankfurt, psalm 19. Thank you for posting this, it is AWESOME. I love your web site. I have spent three days here reading and enjoying your writings. I have even written some of them down in my journal so I can share them and read them again. I thank God for you and I thank God that He drew my eyes to a sermon entitled “The Prayers List Of Jesus” on your site. John 17 is one of my favorite chapters in God’s Holy Word. I have read it several times but one day God really made me understand it when verses 20-26 jumped out and hit me between my eyes. What a wonderful Saviour we serve that He took time out of his life, just before He was to be nailed to the cross, and pray for ‘me’ and you. “My prayer is not for them alone. I pray also for those who will believe in Me through their message, that all of them may be one, Father, just as you are in me and I am in you. May they also be in us so the world may believe that you have sent me. “(John 17- 20&21). Amazing.. I will be spending more time on your site for inspiration and encouragement. Again, thank you for all the work you’ve put into this site. I pray in Jesus name that God blesses you and your family. I would love to just sit and talk to you face to face.— Viola Saylor..